When you’re looking to buy your first condo, there will be things you won't want to live without. 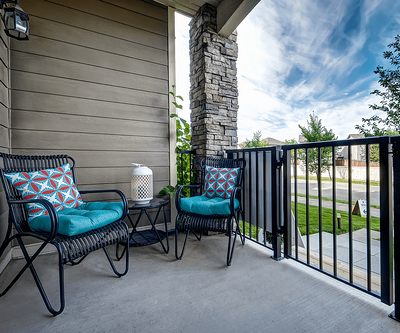 Whether your new home is 650 or 1,250 square feet, there are a wealth of features that can make life easier - and choosing a reputable developer in a great community means you can have it all. 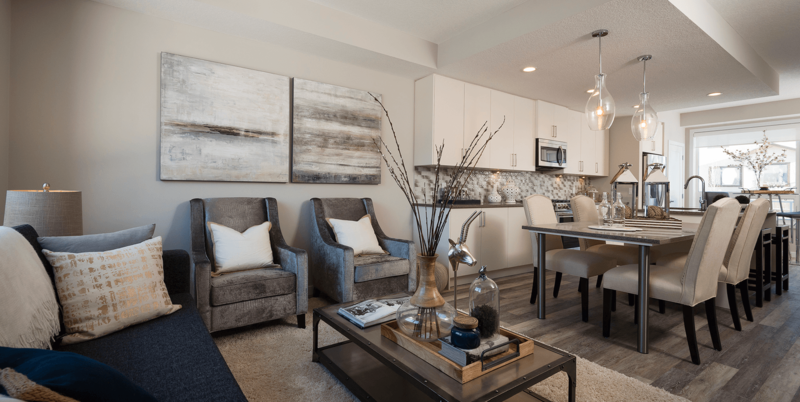 StreetSide Developments is notable for premium standard condo features that accompany each and every floor plan - and those best suited for first-time buyers are no different. Origins at Cranston and Vivace at West 85th are becoming increasingly popular for this reason. Not only do they offer affordable, low-maintenance living in the trendiest parts of town, but they also include versatile floor plans and high-end features generally unheard of in most other developments. Despite the occasional chinook, winters in Calgary can be rough making underground parking a definite asset. Why bear the elements when you don’t have to? Along with other conveniences, Vivace at West 85th also includes underground stalls as a standard for many of the development's homeowners. Who wants to do laundry, with everyone else, in the basement of your building? 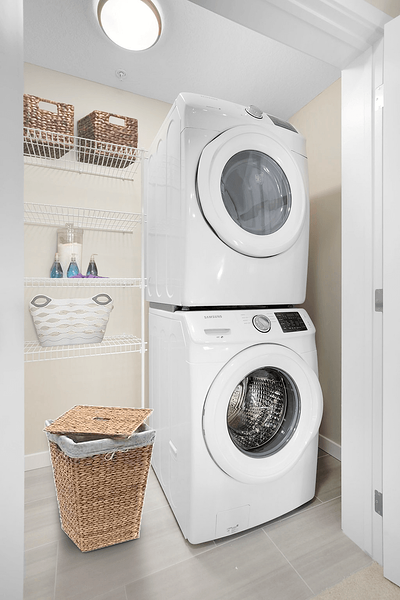 Isn’t it a better idea to have your own in-suite washer and dryer so you can do laundry whenever you want? And without having to worry about having enough change to feed a machine? We thought so too, and as such, have developed floor plans that include your own washer and dryer. When you’re done with the laundry it is also nice to have a walk-in closet to easily put away your clothes. Large walk-in closets are a great way to store items and allow you to choose your outfit in the mornings quickly. Other versatile floor plans connect the main bathroom directly to your walk-in closet - creating an ensuite-like convenience that can't be beaten. Having window coverings included in the purchase of your home is a huge asset for a first-time buyer. Since window coverings can be quite expensive, you can rest assured you won't have the stress of having to pick out or purchase custom blinds. A good builder will often include these with the purchase of your home to ensure you have one less thing to worry about when you move in. During a Calgary winter, what could be better than having warm toes all day, every day? Imagine heated floors not only in your spacious ensuite (also a premium feature you should look for), but throughout your entire home. You can find this in Vivace at West 85th. In-floor heating is also incredibly energy efficient - making this feature a guaranteed cost-saver on your utility bills. In the summer, you'll likely want to take advantage of the warm weather and do some cooking outside! One of the largest advantages of condo living is the abundance of outdoor entertaining areas - such as balconies and terraces. You can entertain your friends and grill a great steak at the same time. Regardless of the season, access to a park is a benefit for anyone. Whether you’re a pet owner or not, parks are a nice place to go for a relaxing walk on a weekend or early evening. You'll also want to keep in mind that access to the C-Train is a necessity for those needing to head downtown often. Make sure to check out other necessities in the area like grocery stores, medical centres, coffee shops or other places of interest you want nearby. Why rent an off-site storage space when you can have it included in the cost of your home? Of the many Origins at Cranston features spacious on-site storage lockers, which allow you to reserve space for what you really need and put away what you rarely use. Why would you want Christmas ornaments and your tree in a closet all year around after all? Better to put it away for eleven months of the year and retrieve it when you need it. Even with the many premium features that come standard in top-notch condo developments, your new home will be anything but ordinary. Working with a good developer such as StreetSide Developments means you have a wealth of thoughtful design features as well as the high-end finishes carefully selected by professional interior designers. So, when looking for your first home, remember you don't have to settle for average when you can have the best.